but the one who has understanding holds their tongue." If you've heard a situation, but you do not understand it... don't say anything. There are many more Scriptures in the Bible about our tongue. 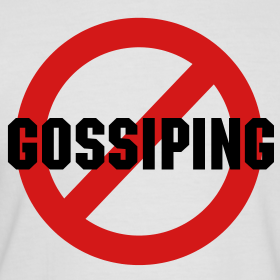 Gossip is not good. Some gossip happens that is totally made up. Other gossip has a real situation, but it's been added to. Think before you speak. Please!